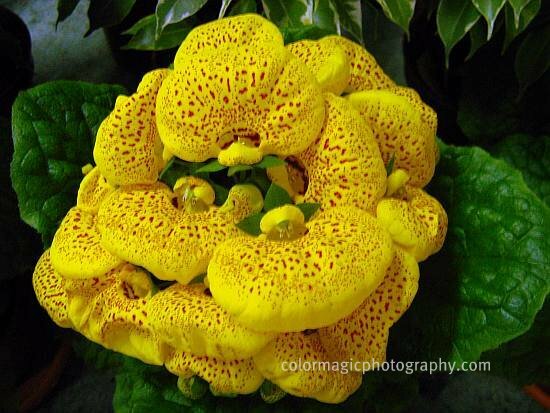 Another interesting, tropical native flower from the garden center is the Calceolaria, also known as Slipper flower, Slipperwort, Pocket book flower. This one in the photo is one of the Calceolaria Herbeohybrida Group. These hybrids are usually 30–45 cm (12 to 18 in) tall, or smaller. 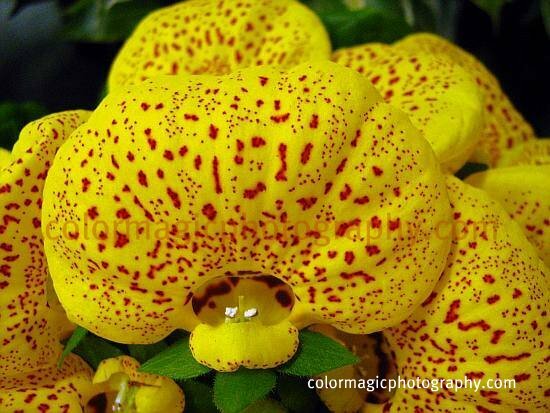 They have soft stems and flowers are little slipper shaped, varying from yellow to red with spots of contrasting color . Calceolarias are annual plants in temperate regions but as most of them don't tolerate either frost, strong sun, or dry heat, it is a beautiful houseplant for me. Brilliant but a strange-looking flower. Is the picture of one flower or a cluster of flowers? What an unusual-looking flower Maia, wonderful photo. I had a plant like this years ago and hadn't seen another until last weekend at the Fort Wayne Home and Garden Show. Very Pretty. Good Luck in the contest. Very pretty and striking, and a beautifully photographed image, as always. 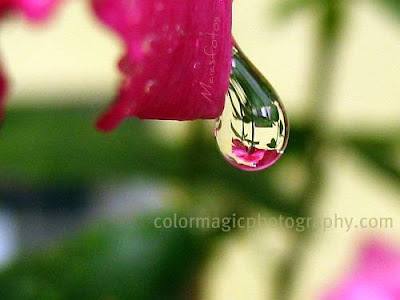 The details in the first shot are superb Maia! What beautiful petals this lady's slipper has. The individually they look like an orchid , so beautiful! The little puff pockets is tempting and I want to squeeze them. These a green house plant for you?